If you prefer a Cuban beach-only vacation you would be better going to the smaller tourist only resorts at Cayo Largo, a 26 km long island off the south coast than the tiny Cayo Coco. The beaches are great and diving is good. There are plenty of packages for all budgets, though you have to use local air transport to get there, which may not be to the taste of nervous flyers. We absolutely loved and enjoyed every minute of our stay at this beautiful location which, until we arrived we did not know was called Jardines del Rey (meaning gardens of the king) The beach, sea and scenery are stunning and this was complemented by the friendliness and efficiency of all the hotel Melia Cayo Coco staff and management. Nothing was too much trouble for any of them. The choices of excursions were excellent and I challenge anyone to find something that they would not eat. The bars were always fully stocked and the selection of beers, wines and spirits were always available. The grounds of the hotel were immaculately maintained on a daily basis by the ‘army’ of gardening staff. The security staffs were always discretely visible but we could not understand why they were required as the place is perfectly safe. The nightly entertainment was entertaining but the shows were of a very high quality, the dancers were amazing. We took a rent a car in Cayo Coco and drove all the way to Holguin which I highly recommend if you want to see at least a little bit of the “Real Cuba”. Some friends of ours were staying at the Blau Colonial Cayo Coco and while there was nothing remotely Colonial about the hotel it looked quite new and our friends room was very nice. 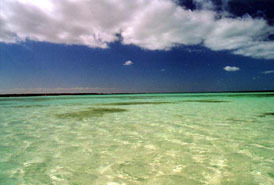 However, there are several Hotels in Cayo Coco so, you have quite a choice.